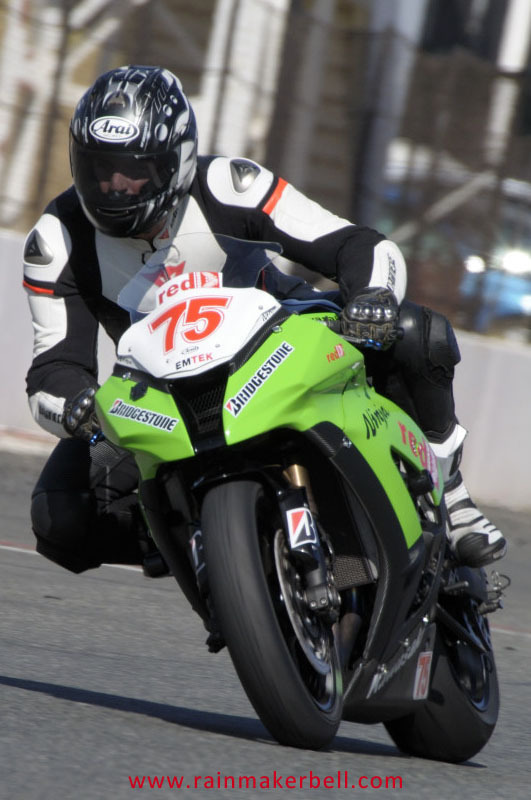 Stewart Macleod #46, plucked plenty of chickens during the past weekend. 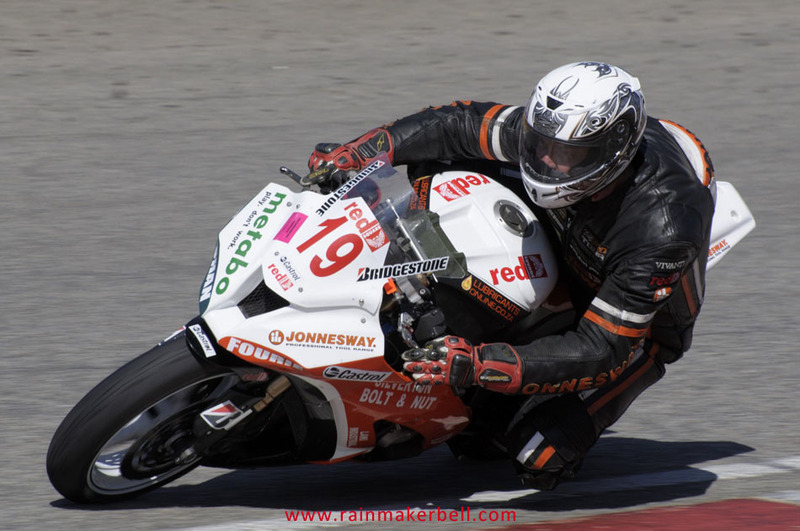 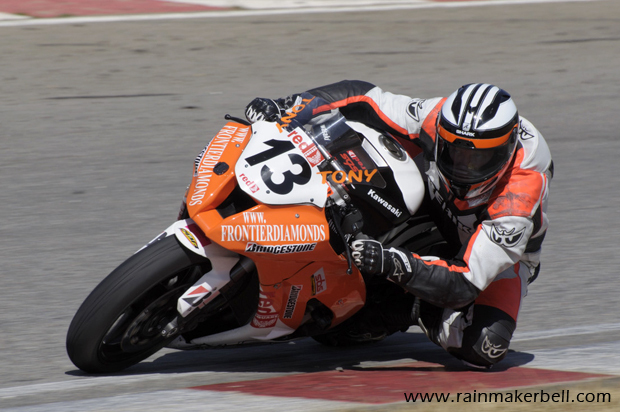 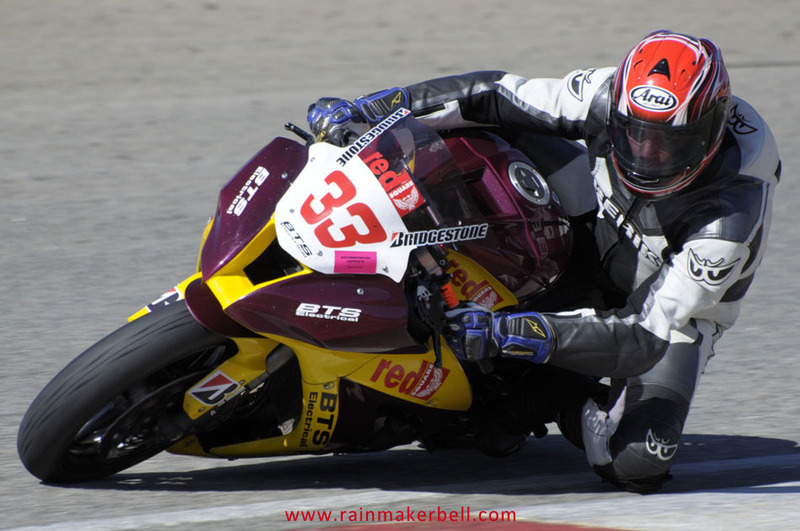 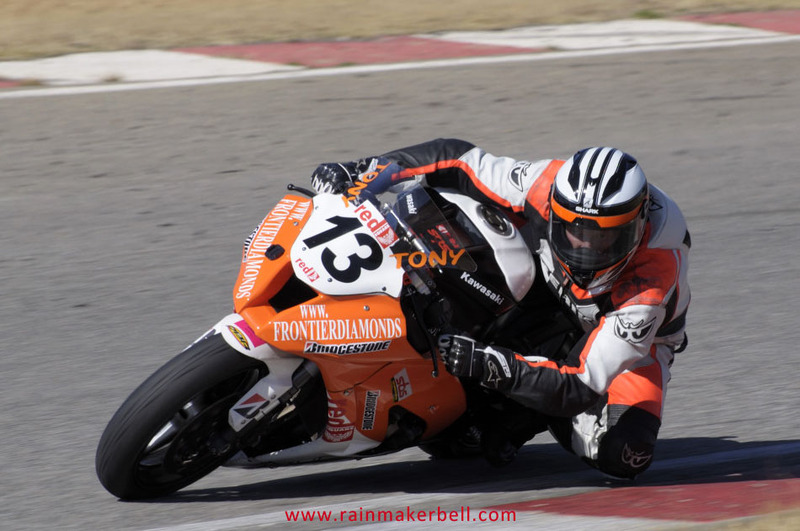 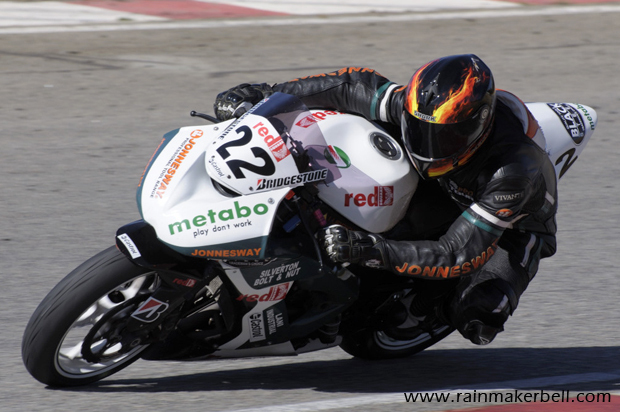 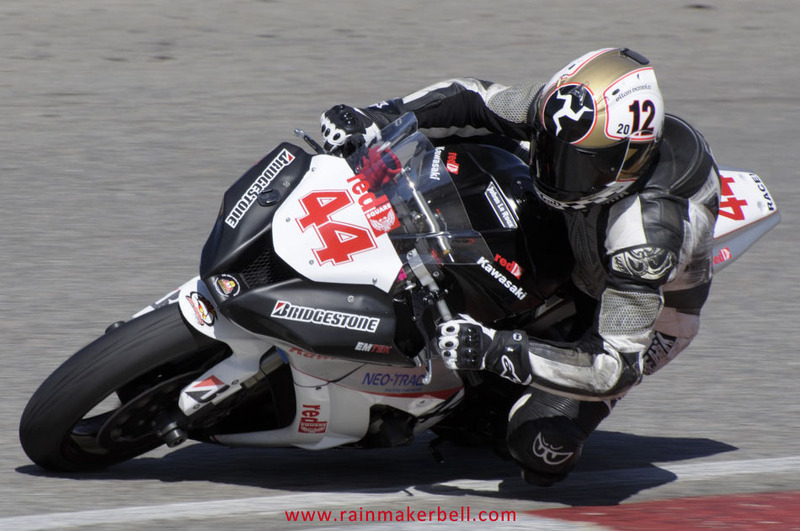 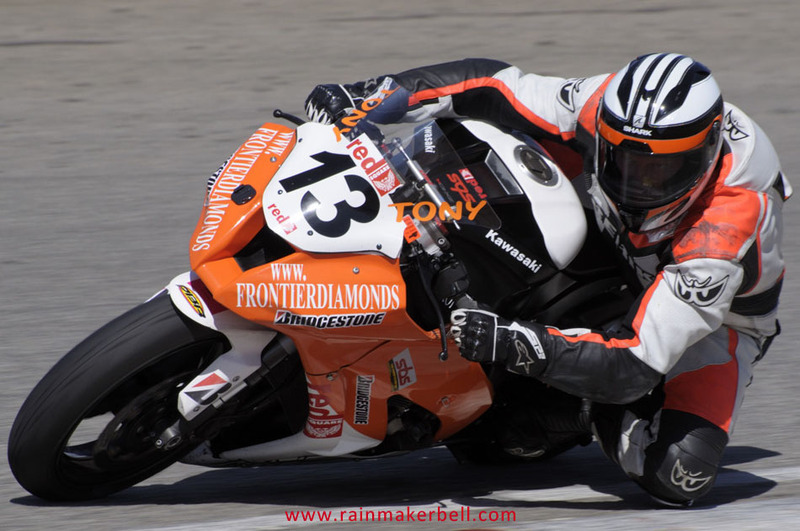 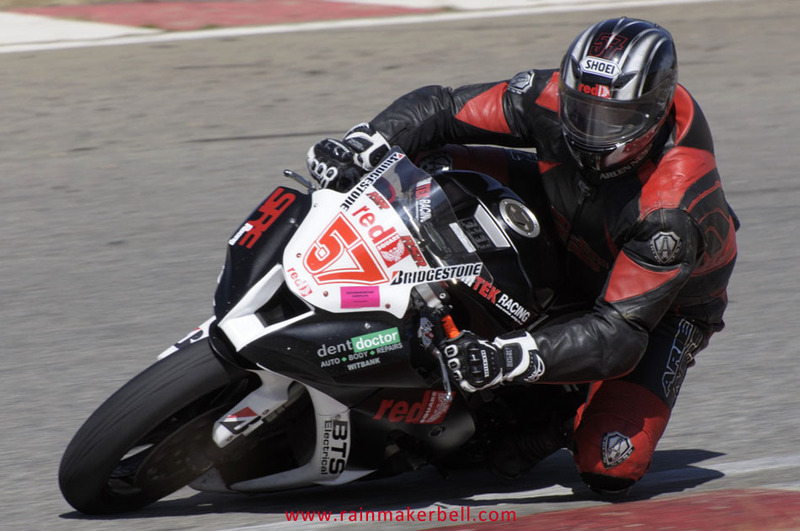 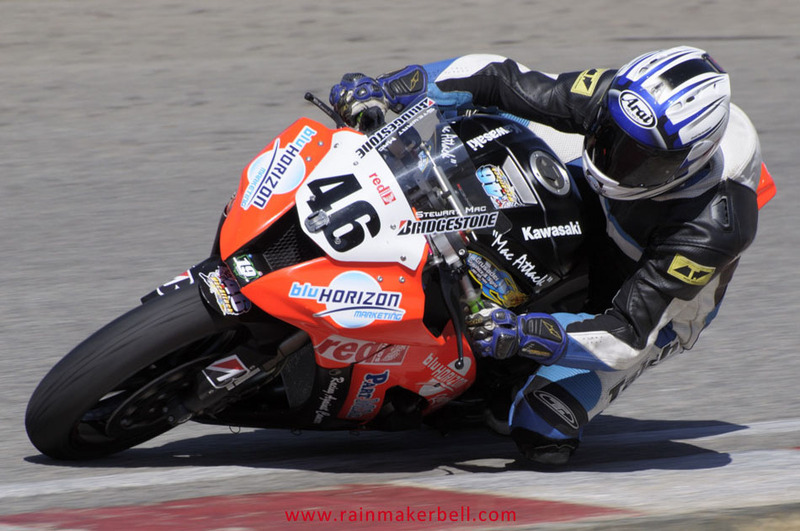 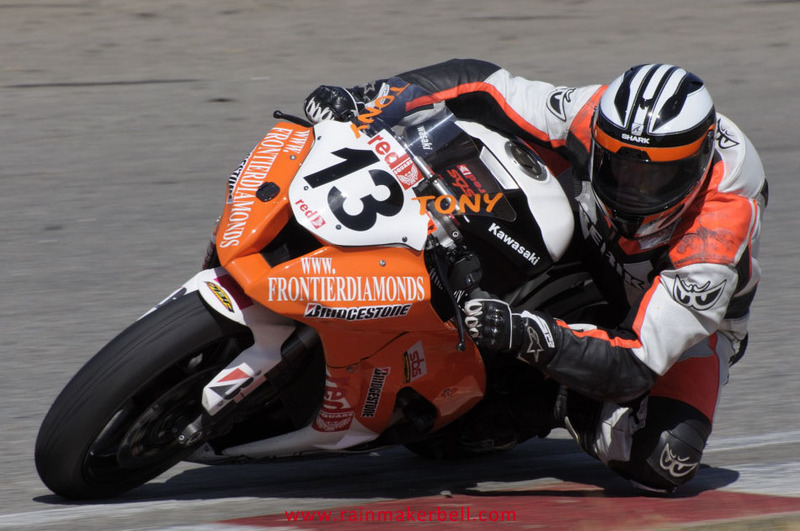 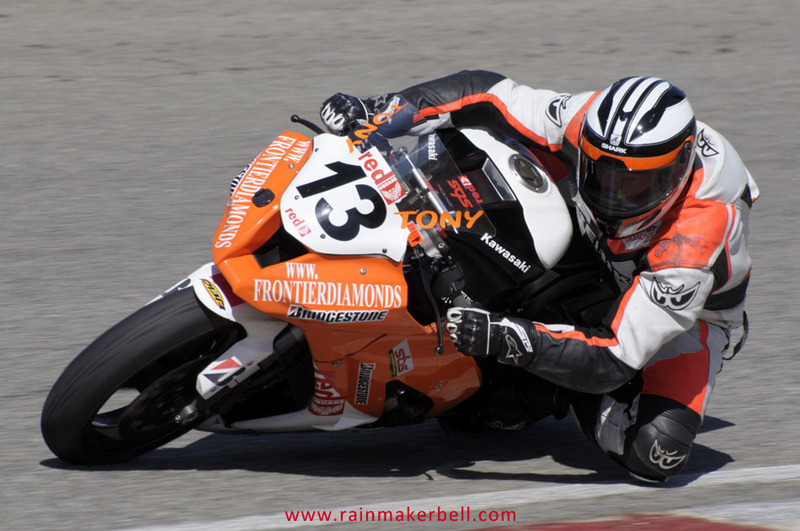 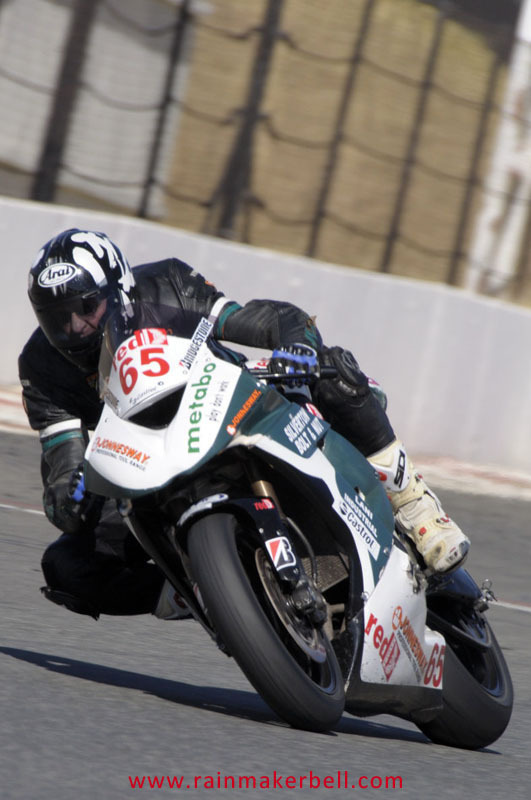 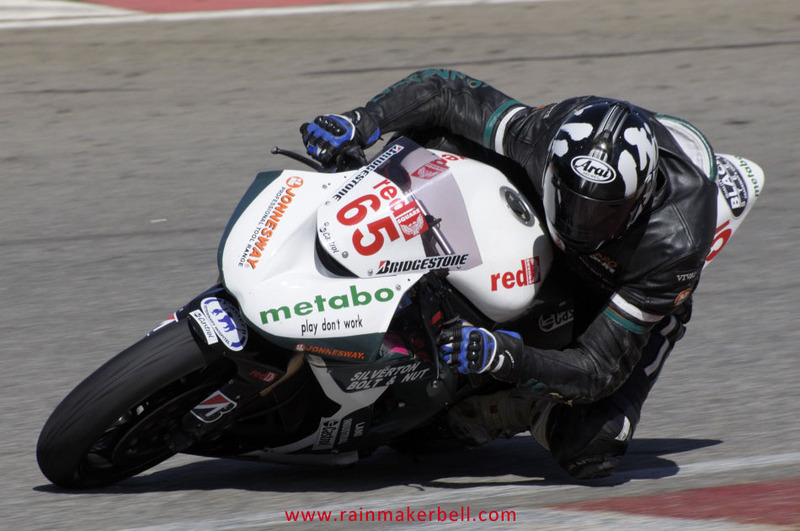 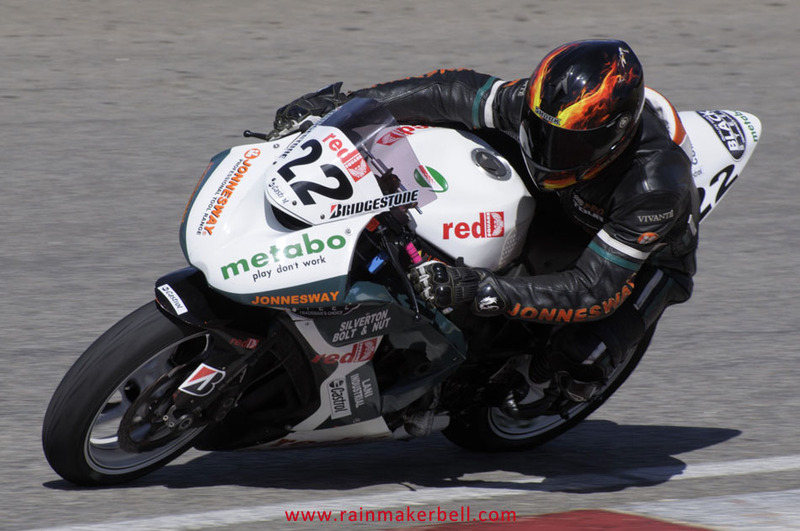 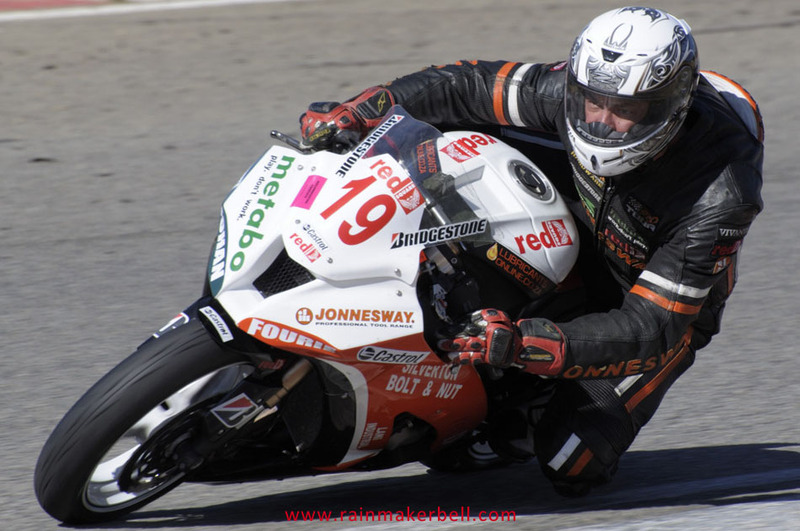 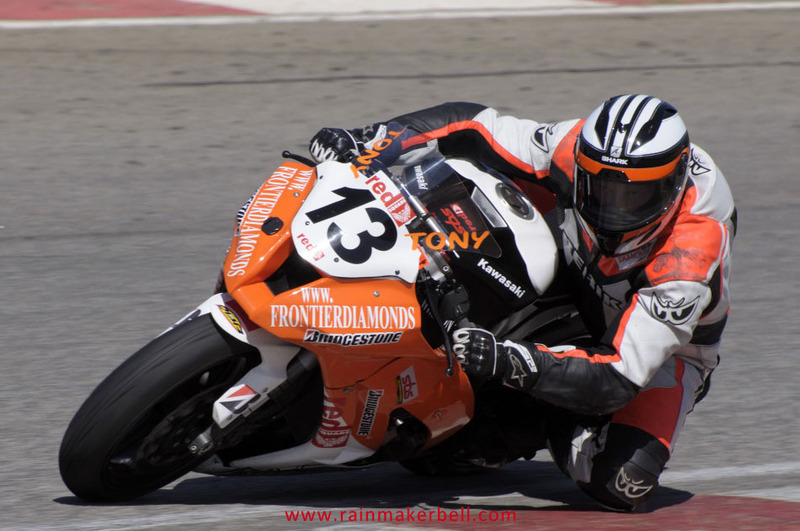 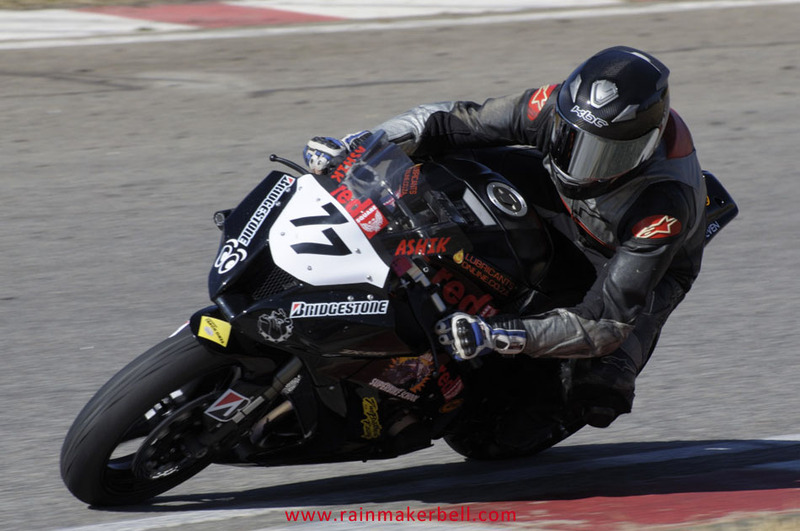 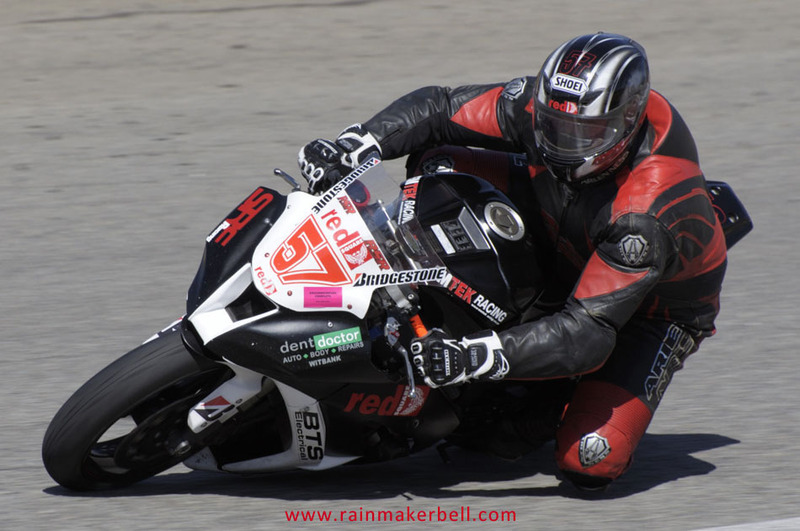 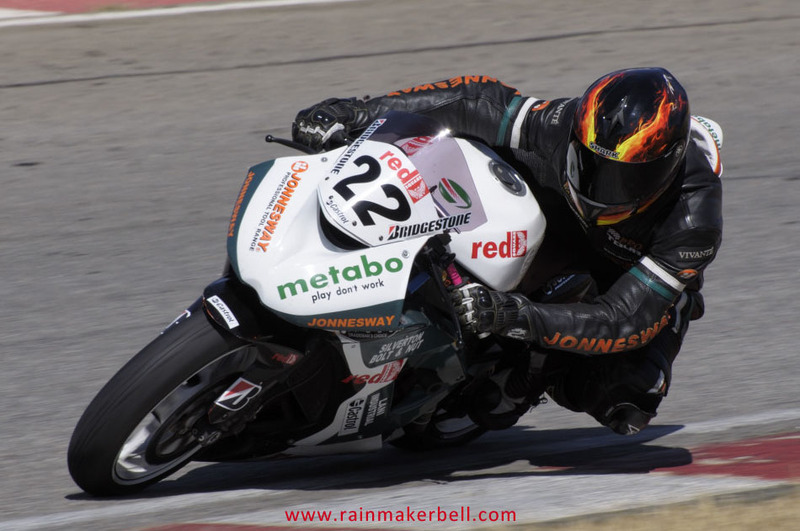 He took two top podium spots with his (absolutely) fantastic motorcycle racing. 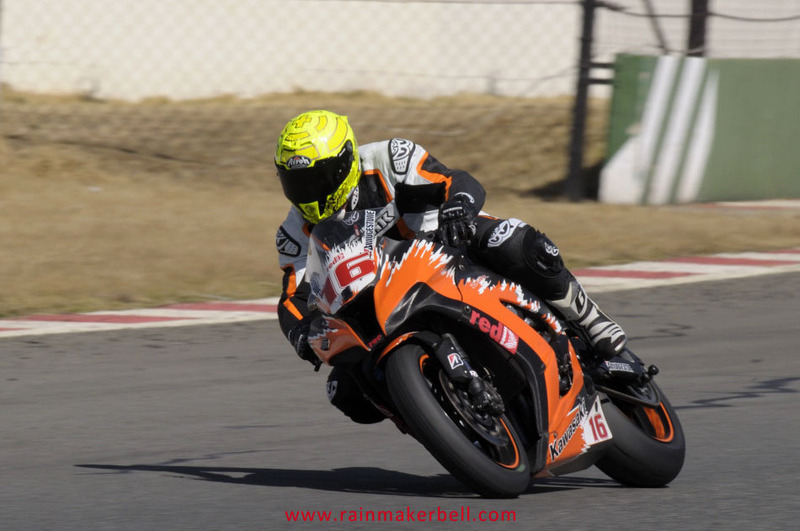 With a best lap in heat one of 1:44.978 leaving runner up Pieter de Vos #17 with almost 10 seconds in his wake. 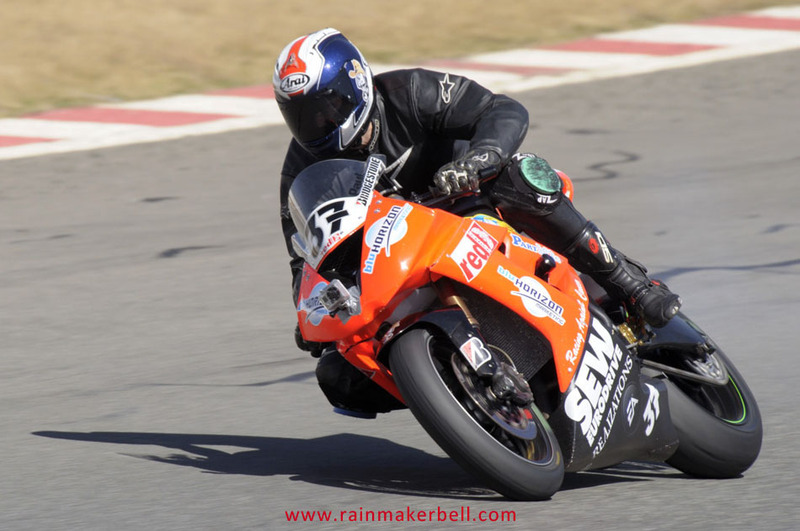 Race two saw the same great results, 1:45.448, with Pieter closing the gap with almost three seconds—impressive! 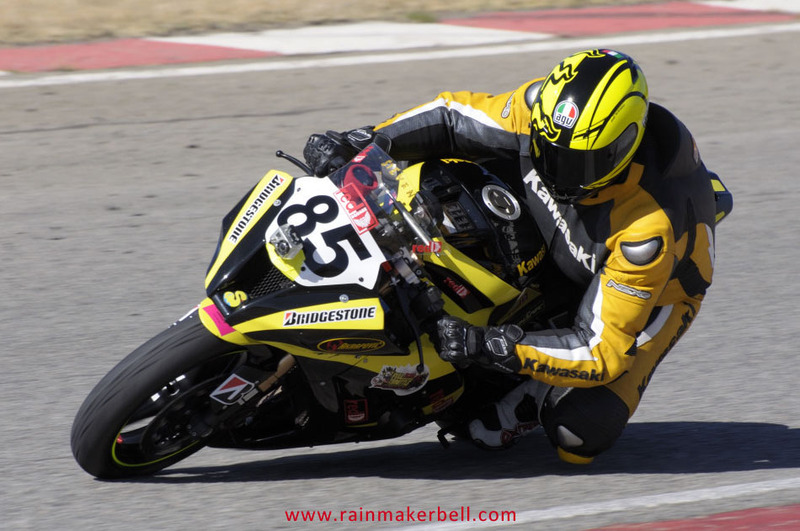 He might not be the fastest scoot jockey in his race class, but you can always count on JB to enjoy every race to the fullest. 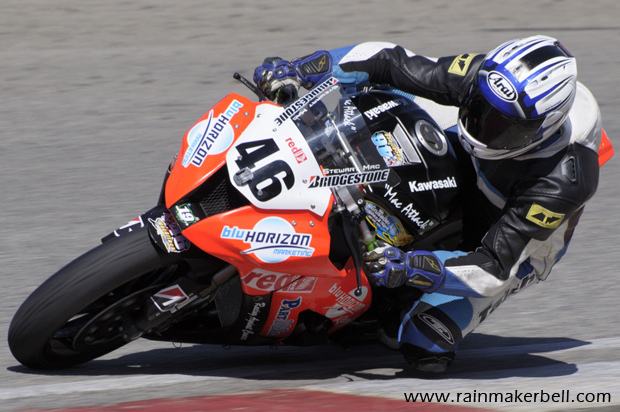 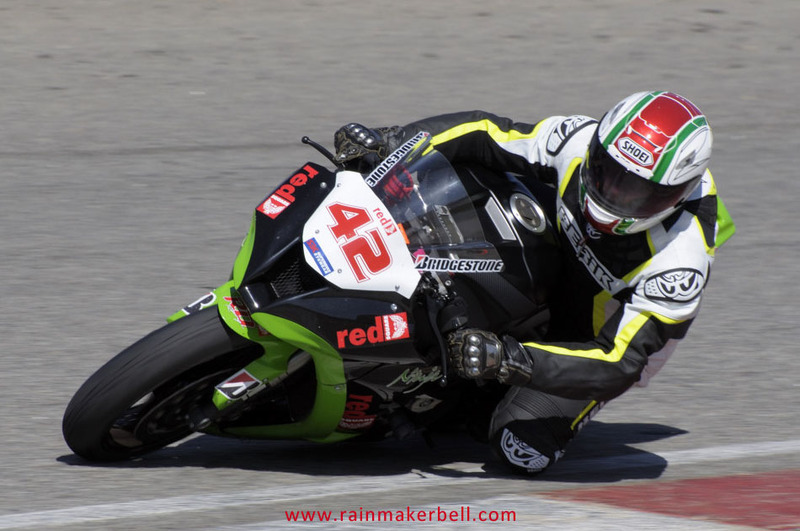 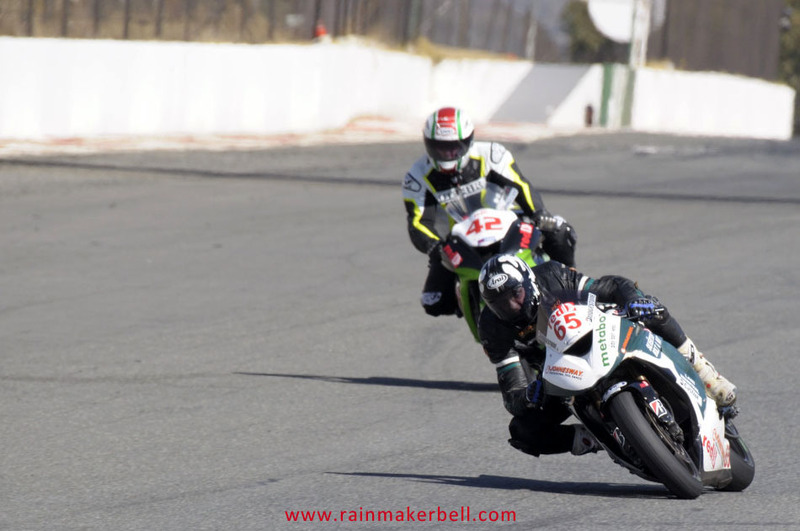 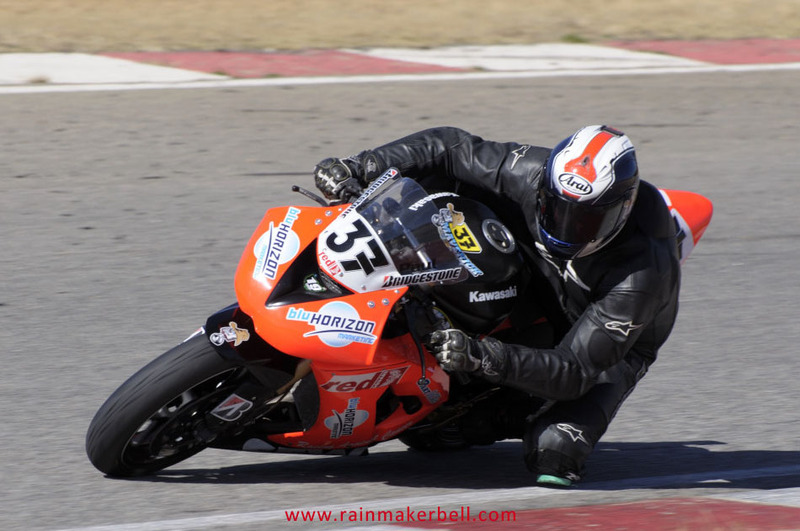 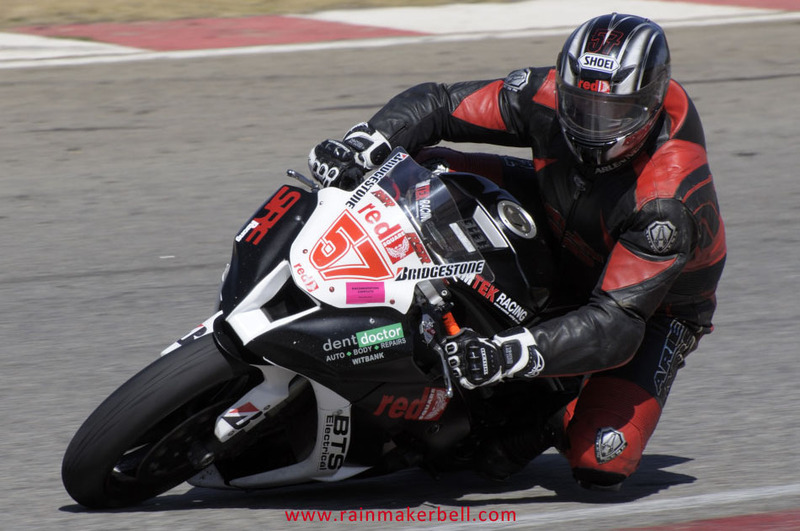 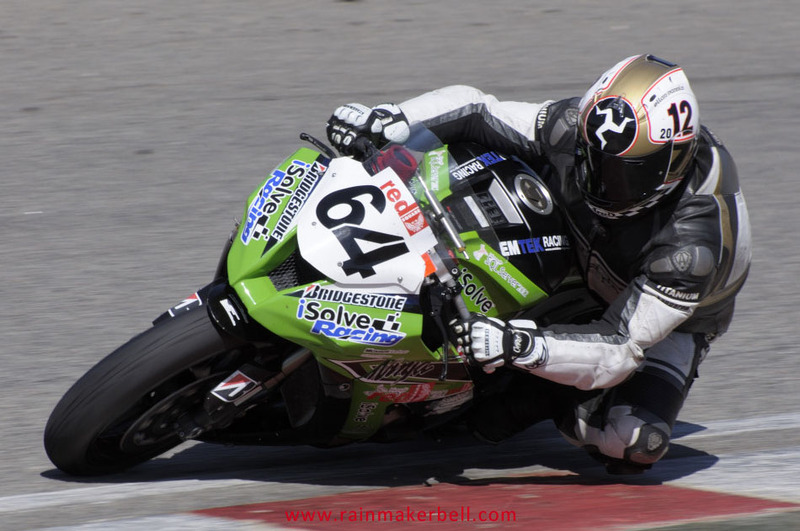 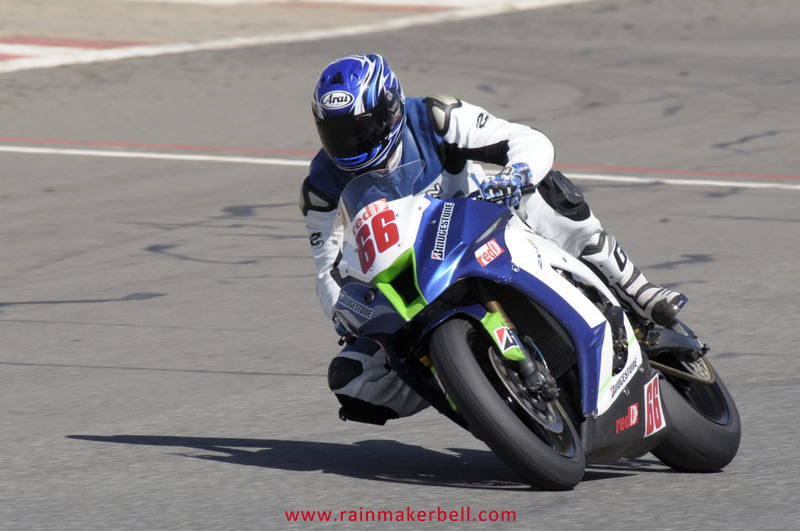 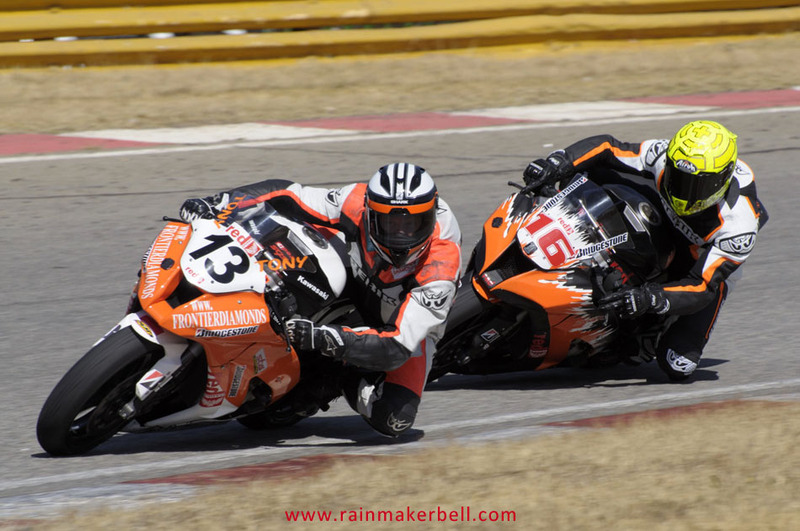 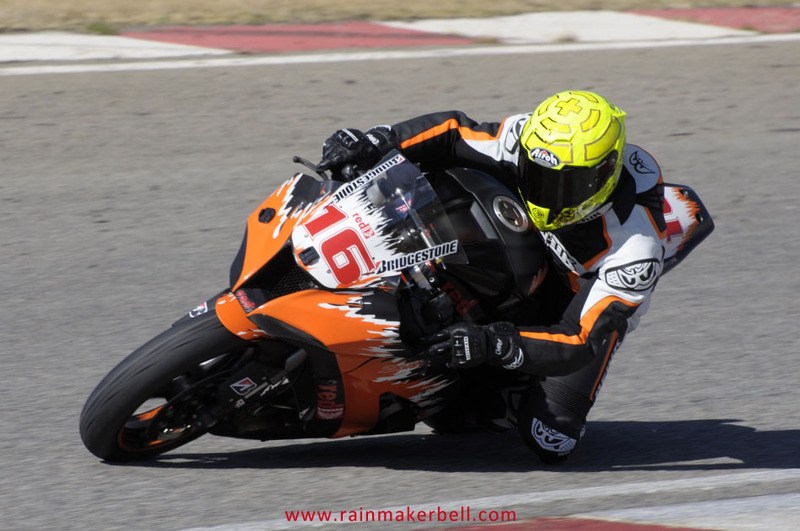 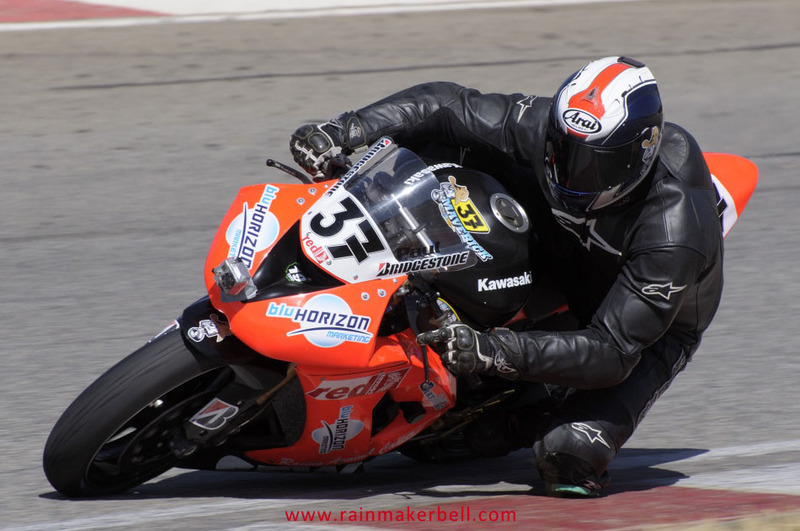 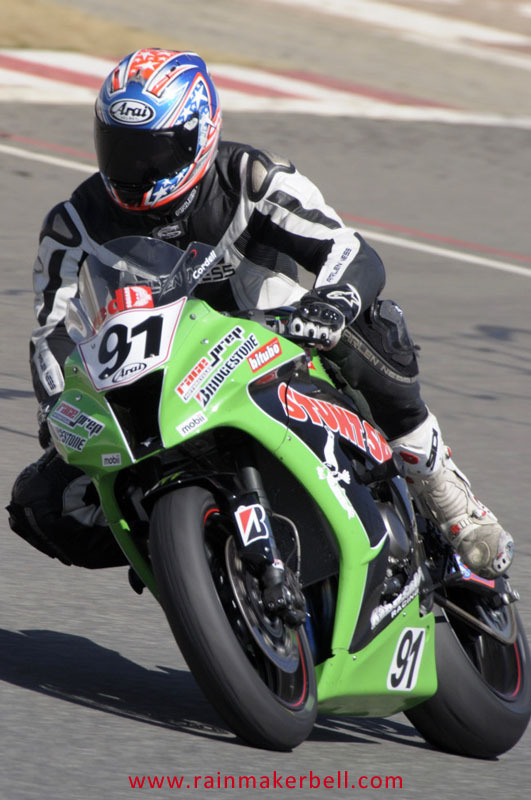 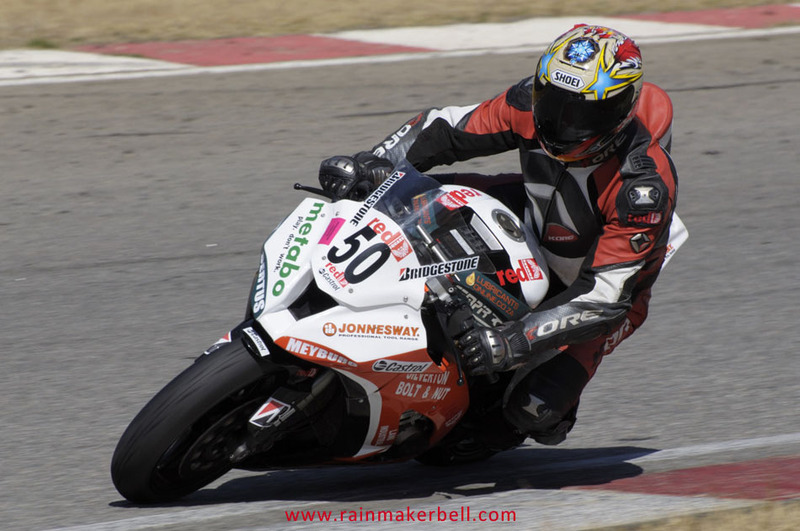 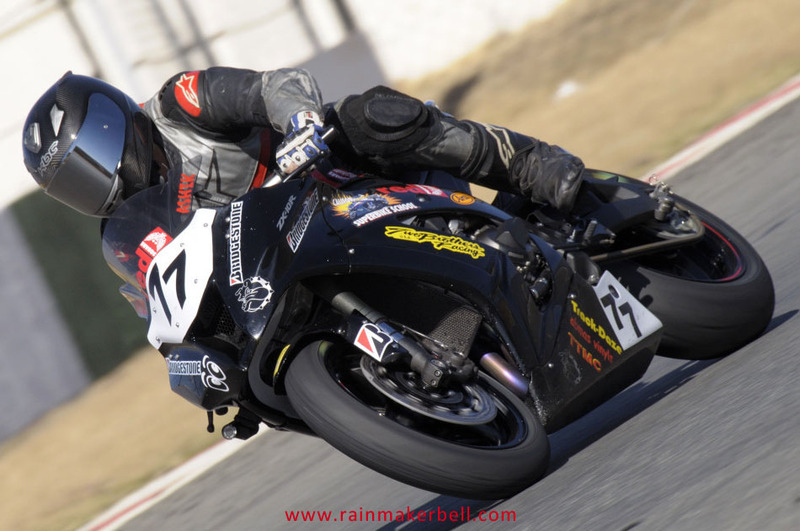 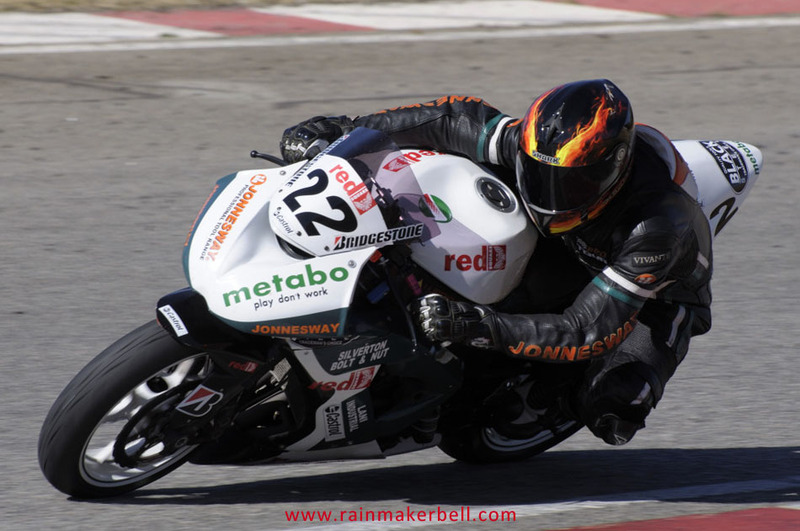 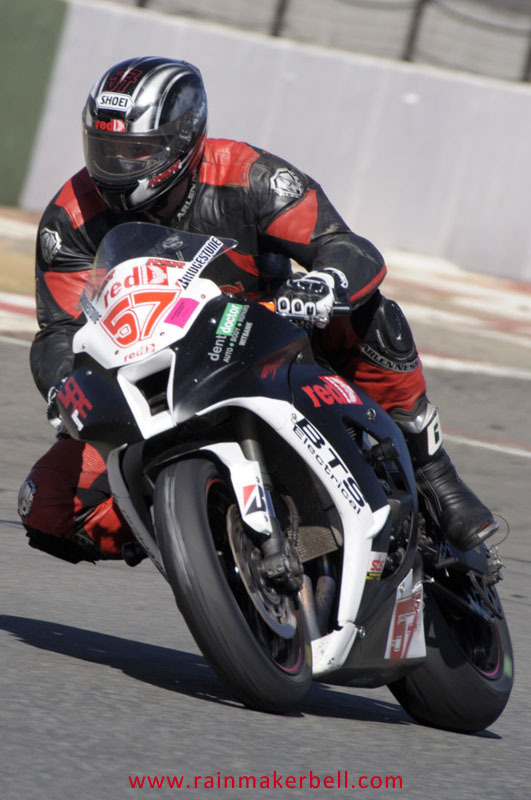 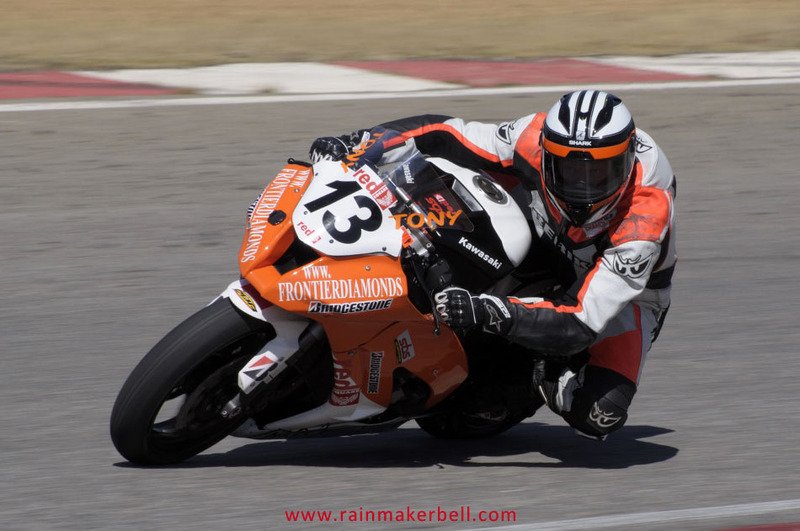 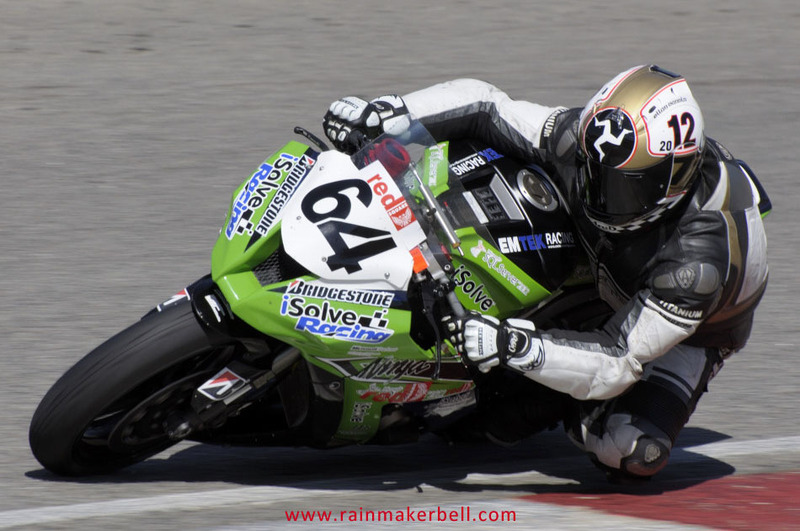 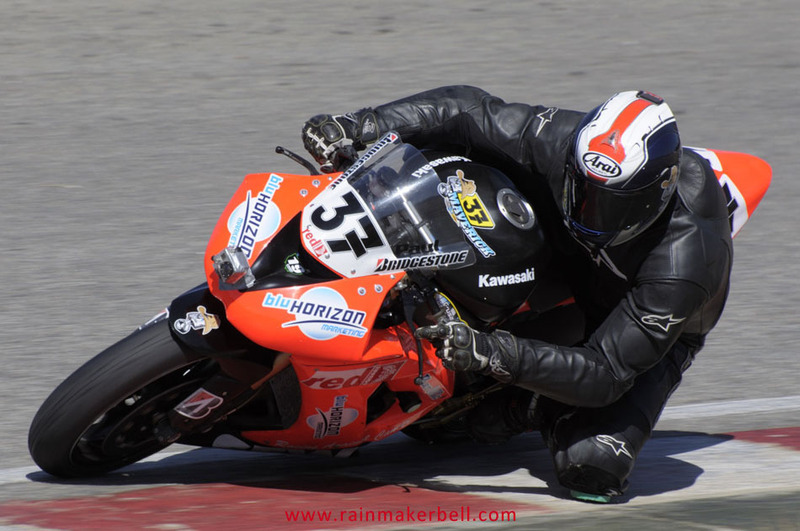 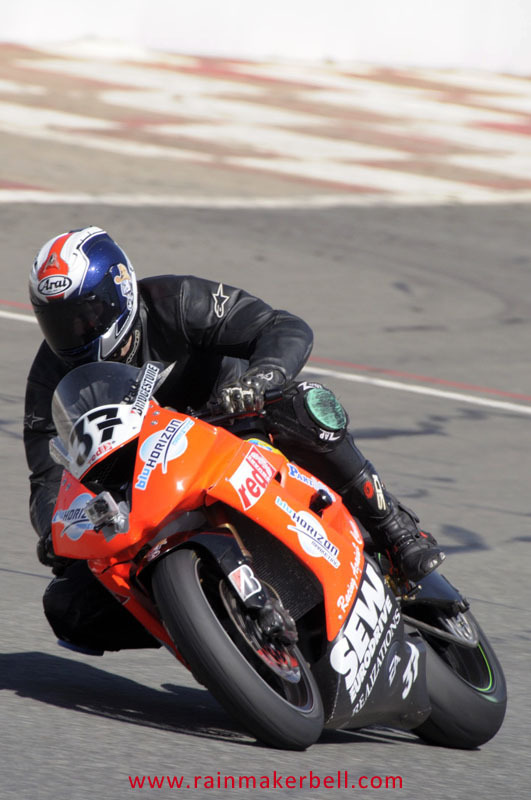 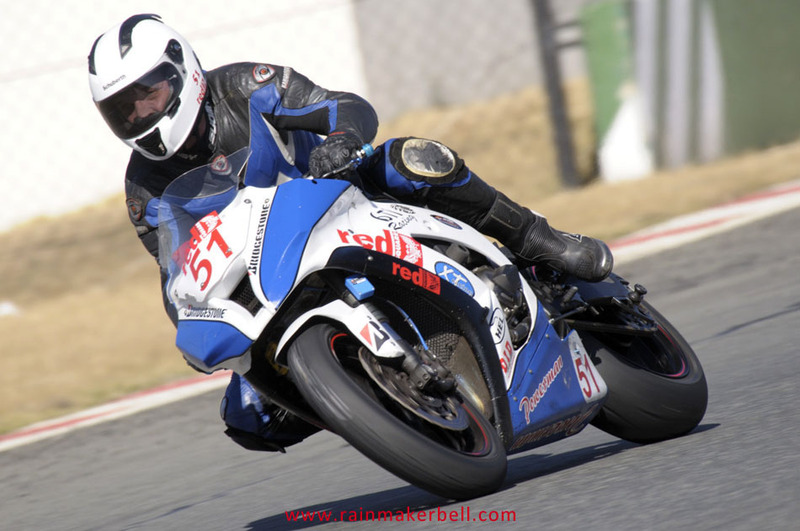 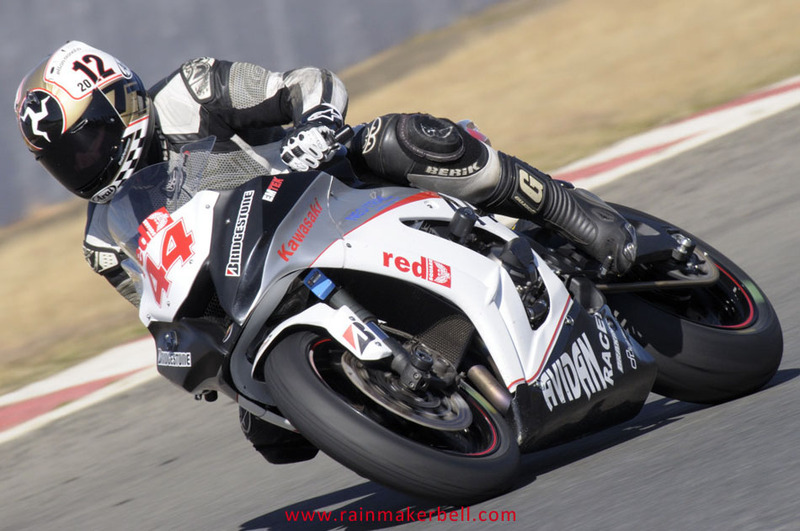 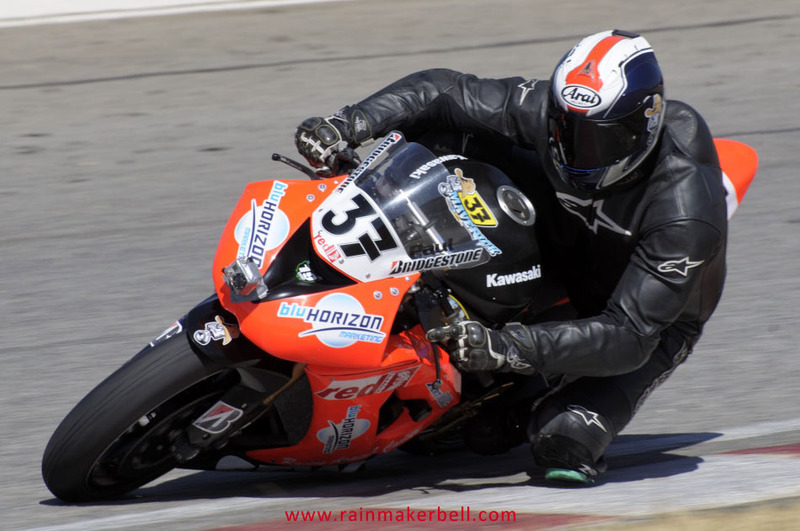 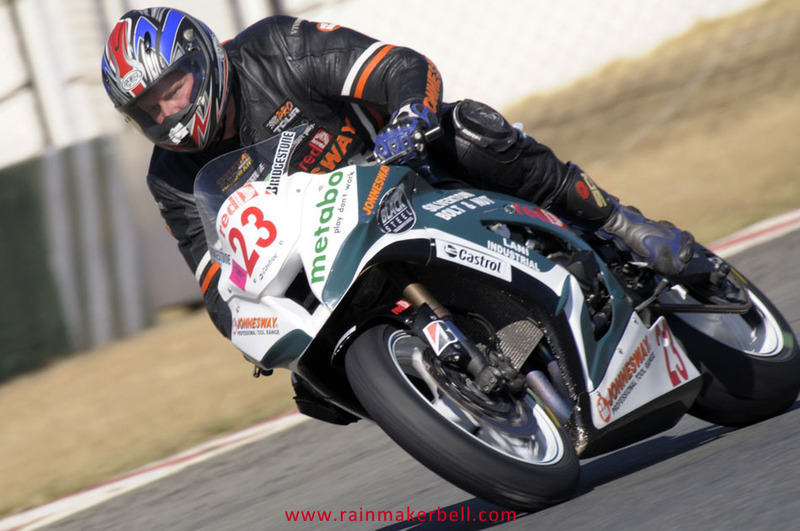 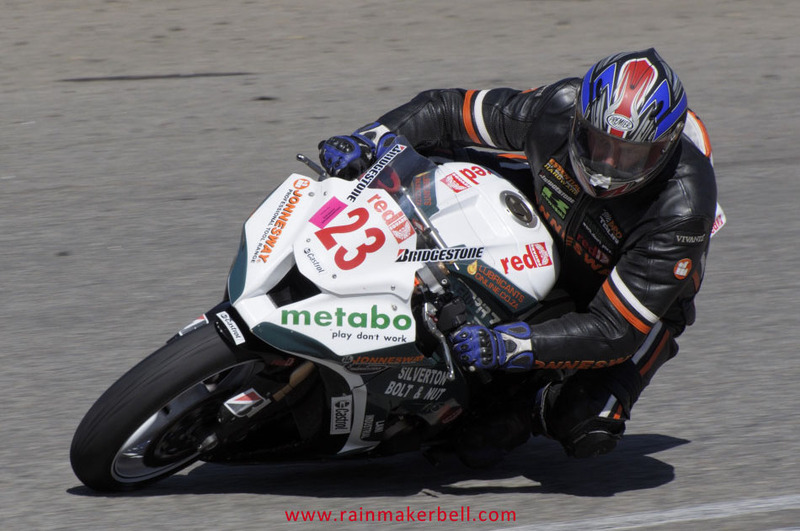 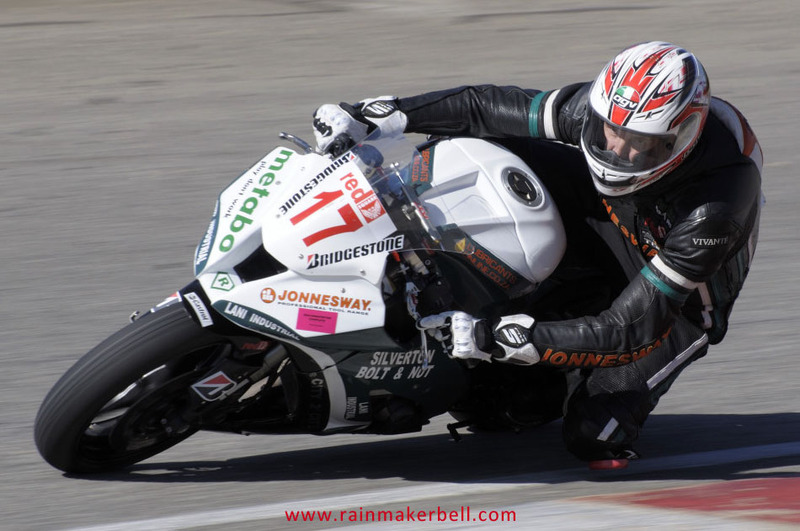 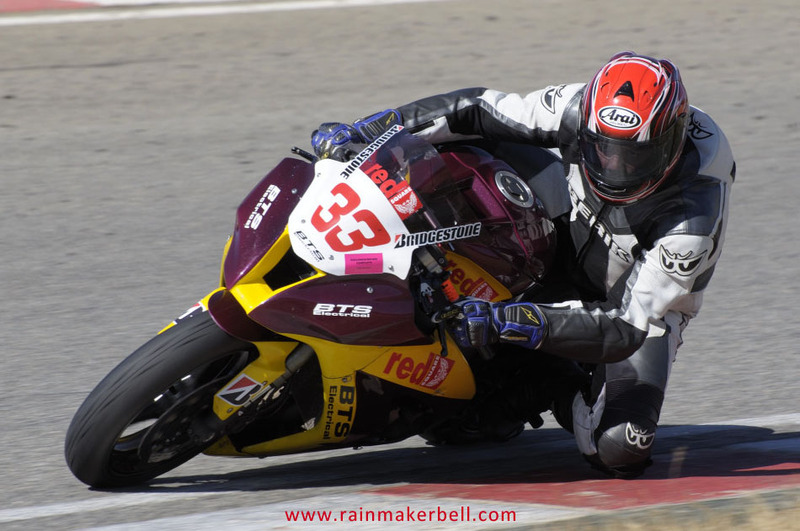 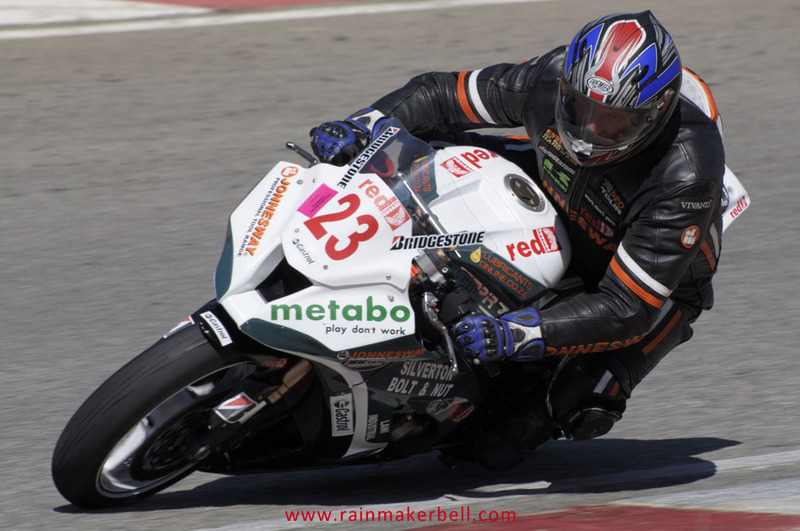 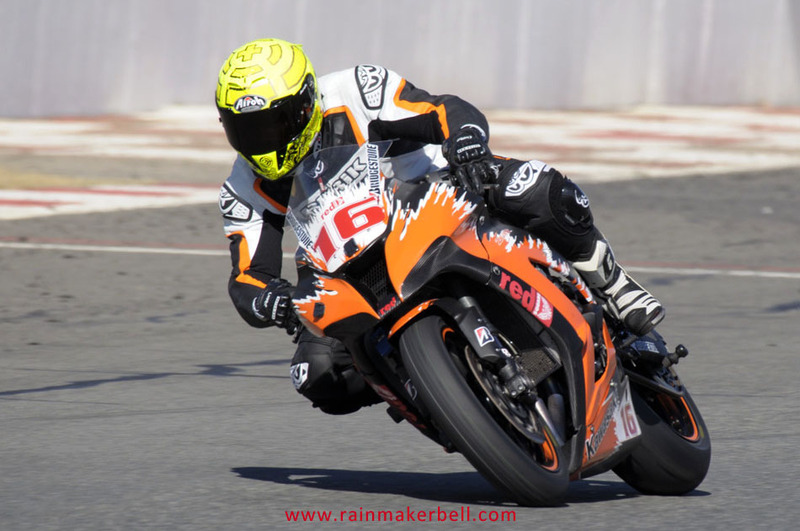 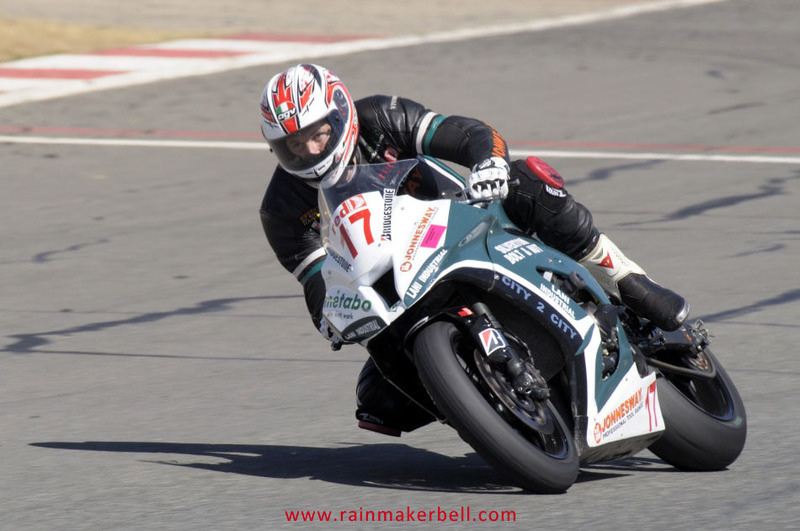 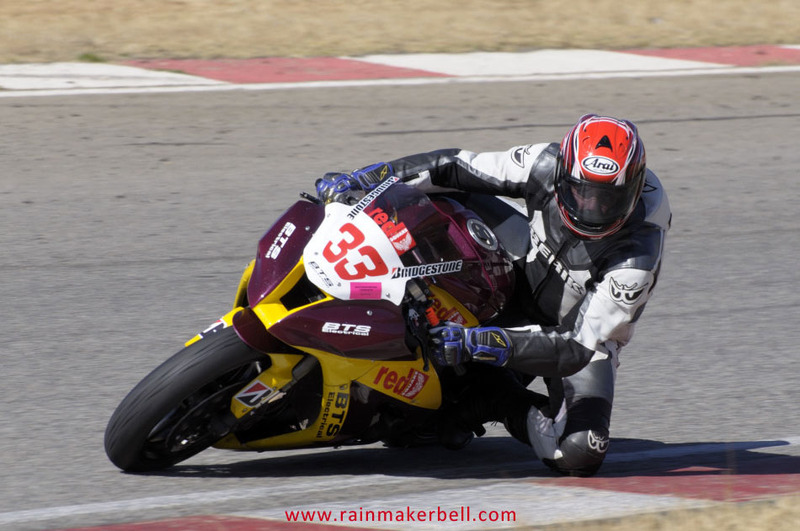 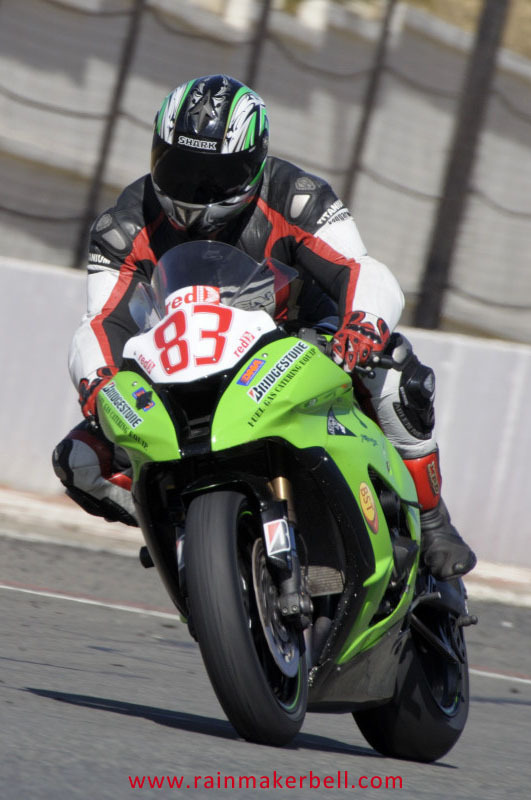 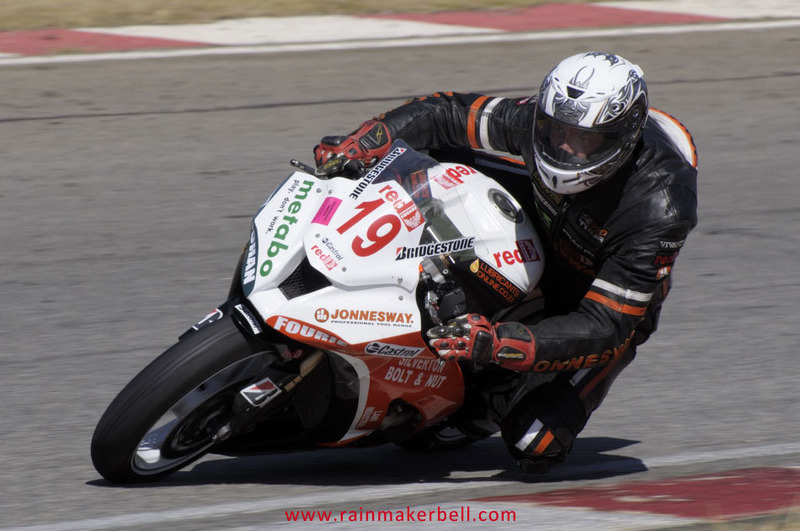 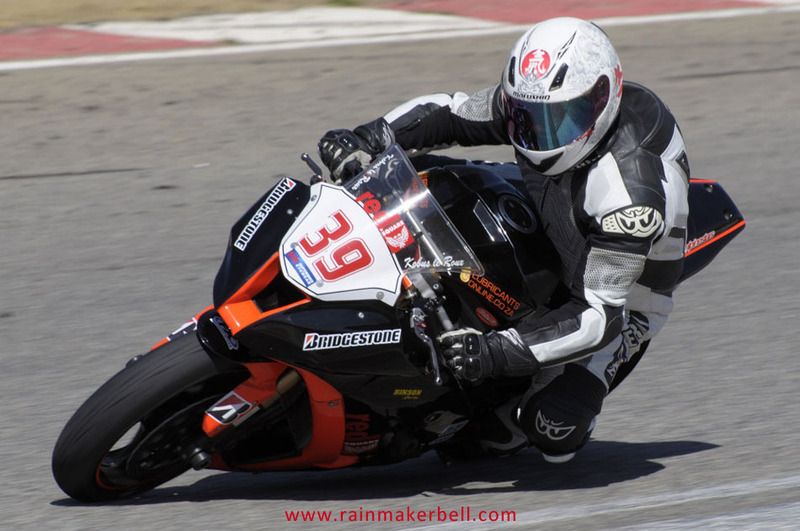 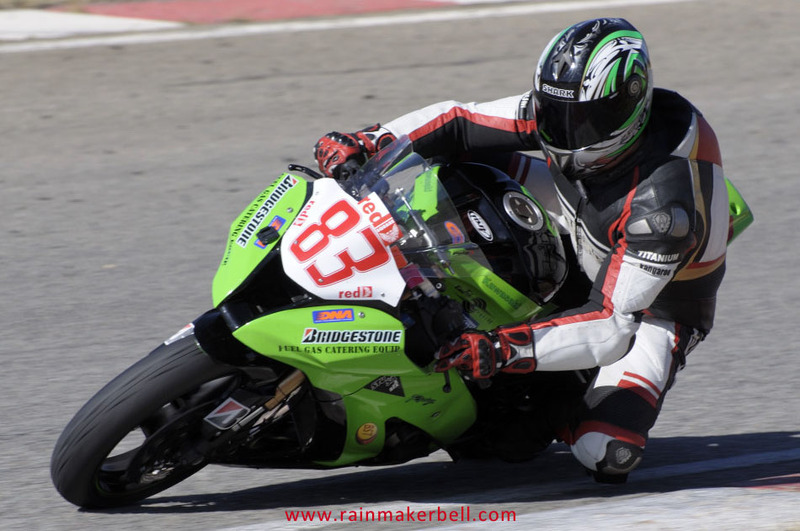 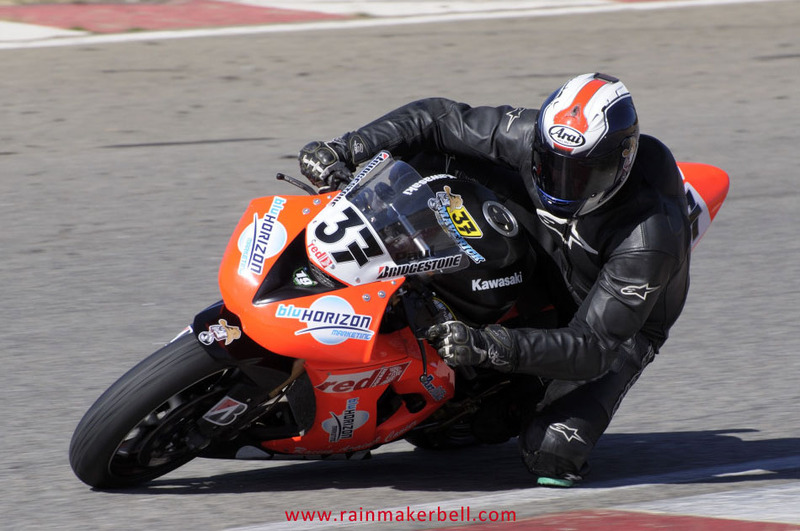 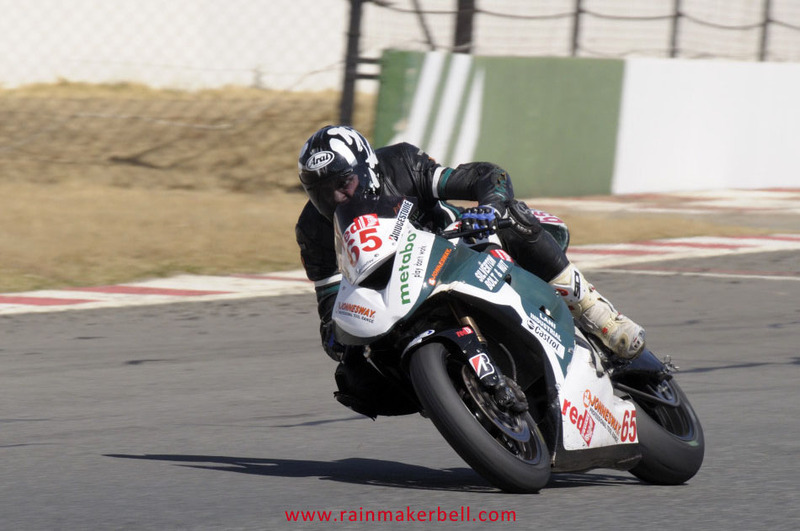 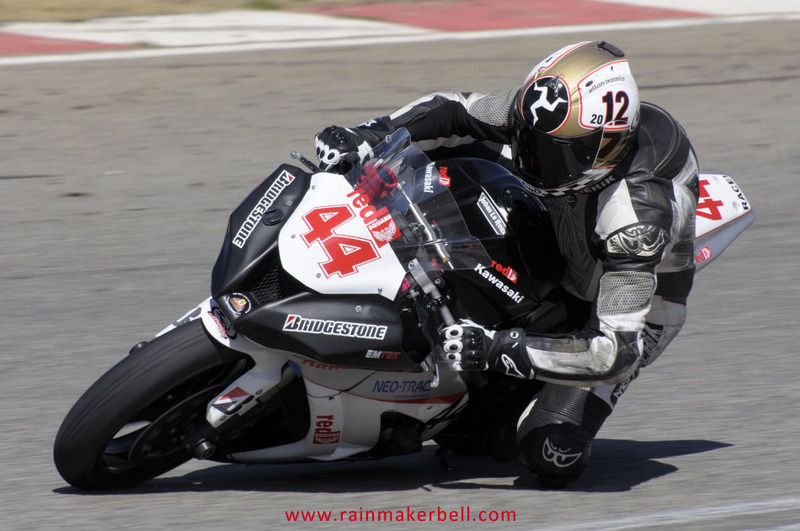 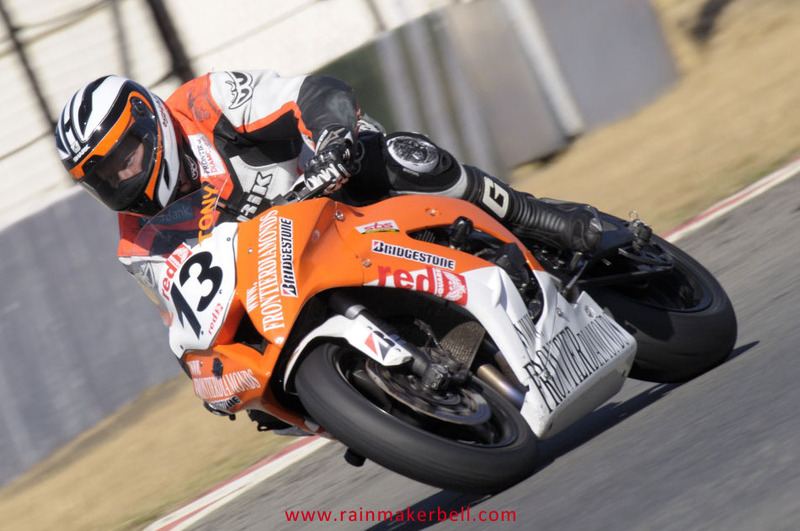 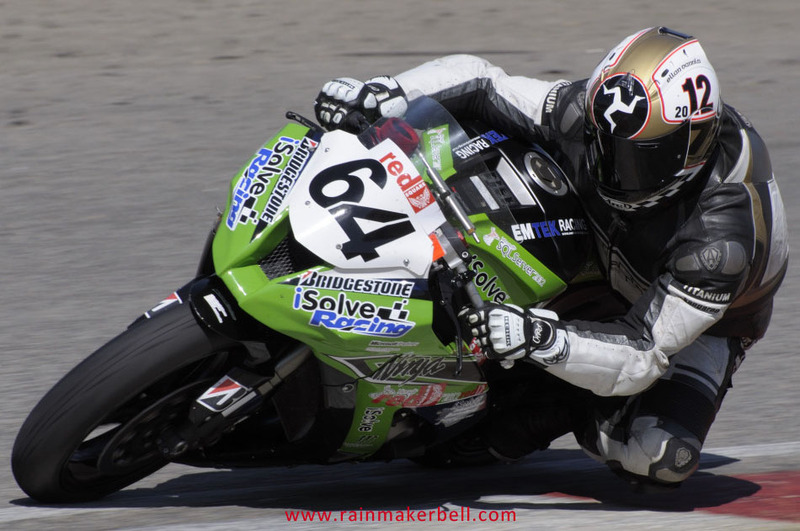 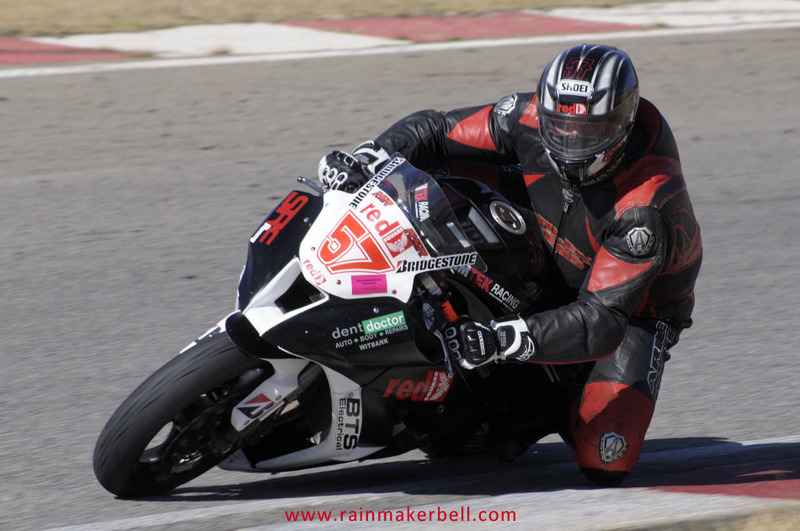 Words & Photos: Adriaan & Martine Venter (Pro Tour Series, Kyalami Raceway, South African Motorsport, 2012/07/28, 62 images) Red Square Kawasaki ZX10R Masters.